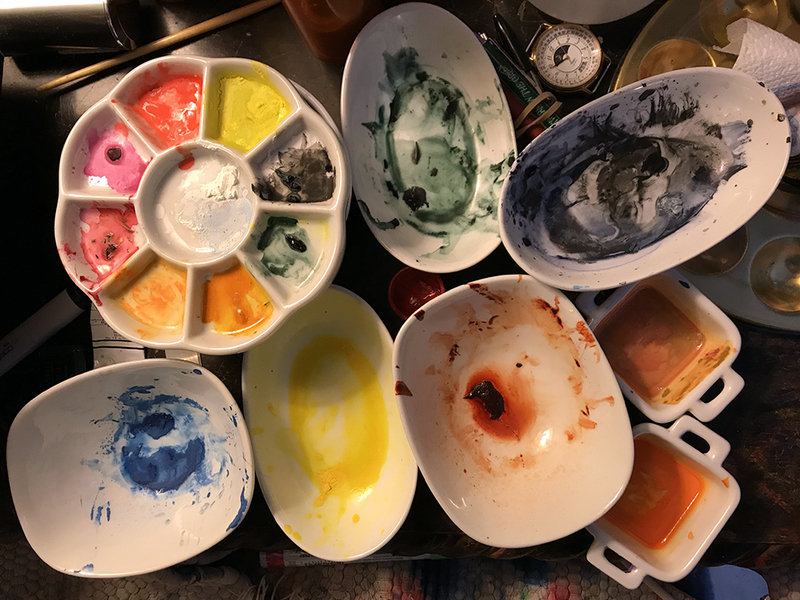 This entry was posted in Personal Stories and tagged artist's studio, artistic process, creative process, creativity, paint dishes, painting, palettes, photography, studio, visual arts. Bookmark the permalink. Now and then I clean mine out too. But I hate wasting paint!